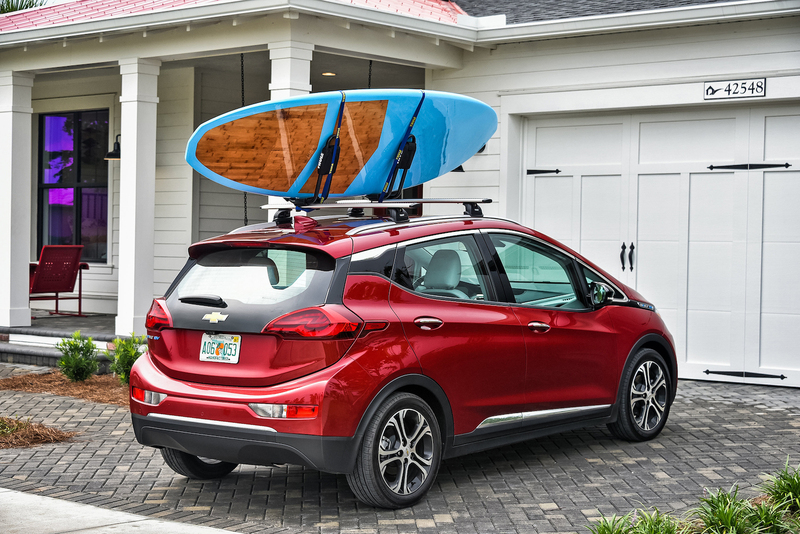 Chevrolet announced today that the Bolt EV, the first affordable long-range electric car, is now available by order or in stock at certified dealerships nationwide. Through Aug. 30, 2017, Chevrolet has sold 11,670 Bolt EVs this year and 12,249 since the start of sales in December 2016. The Bolt EV has won nearly 40 independent awards, making it the most-awarded electric vehicle of the year. Recently named a 2017 Top Safety Pick by the Insurance Institute of Highway Safety (IIHS) when equipped with available Driver Confidence II Package, the Bolt EV also earned the coveted titles of Motor Trend® 2017 Car of the Year, 2017 North American Car of the Year and Green Car of the Year®, awarded by Green Car Journal. Starting at an MSRP of $37,495 before federal tax incentives of up to $7,500 depending upon individual tax situation, the 2017 Bolt EV offers an EPA-estimated 238 miles of range on a single charge. Standard features include electronic precision shift, Regen on Demand™ steering wheel paddle, 10.2-inch-diagonal color touchscreen and an 8-year/100,000-mile (whichever comes first) battery and propulsion system limited warranty. The top-trim Premier model adds leather-appointed seats, front and rear heated seats, Surround Vision, Rear Camera Mirror and more.